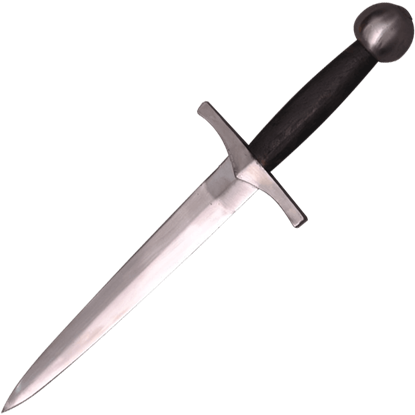 A Crusader dagger was typically a double-edged blade that was used for stabbing or thrusting during close combat in battle. 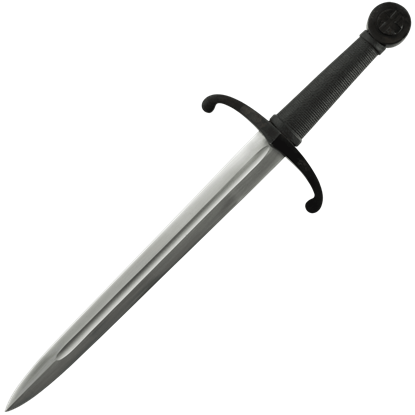 A Crusader knights last line of defense from an attacker was his medieval dagger, making it an essential item. 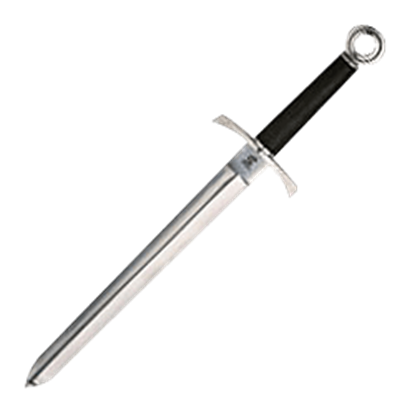 A Crusader dagger served as another line of defense if a knight lost his sword. Other uses of the Crusader dagger were for cutting, carving, and eating. Many Templar daggers and other knight daggers are highly detailed, displaying the symbols of their order and decorated with jewels. We provide a full line of Crusader knives, Jerusalem daggers, and other medieval companion daggers for both the collector and re-enactor. Some of the Crusader blades are fully functional, while others are for decorative purposes only. Originally designed with a ring pommel so a knight could hang the dagger from a hook on his armour, this Crusader Dagger makes a fine collectible knife. This medieval blade is a beautiful replica weapon made by Art Gladius. A good dagger is more than just a weapon. It is also a tool, used for everything from eating to working and more. 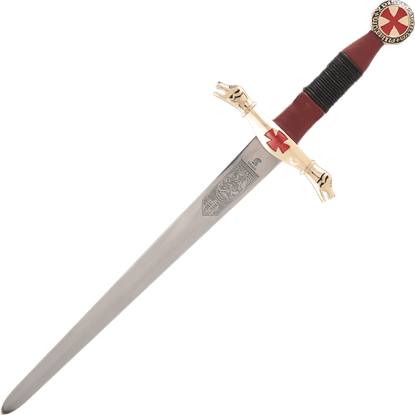 This Crusader Dagger is the quintessential knights dagger, designed with a blade for any task a warrior might have. Originally designed with a ring pommel so a knight could hang the dagger from a hook on his armour, this Crusader Dagger with Scabbard makes a fine collectible knife. This medieval blade is a replica weapon made by Art Gladius. 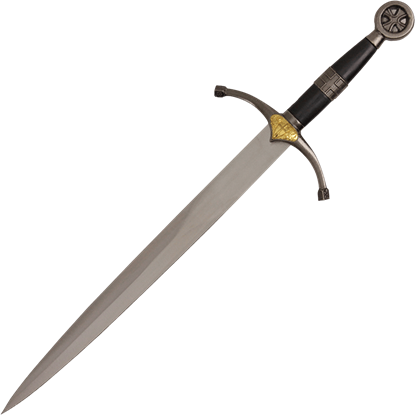 A unique combination of Elven decoration and medieval construction, the Elven Crusader Dagger brings a hint of fantasy to the medieval crusades that swept through Jerusalem and Israel. It is the perfect blade for an Elven Knight! 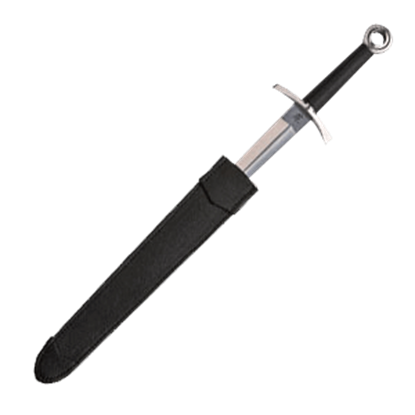 Gladius Medieval daggers like the Heaven Knight Dagger with Sheath have 440C stainless steel blades that are fully tempered, but they are primarily intended for use as collectibles and decorative pieces with their eye-catching details. 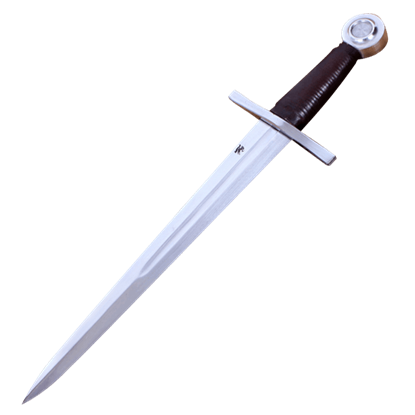 Gladius Medieval style daggers, like this Jerusalem Dagger, have 440C stainless steel blades that are fully tempered, but they are primarily intended for use as collectibles and eye-catching decorative pieces. 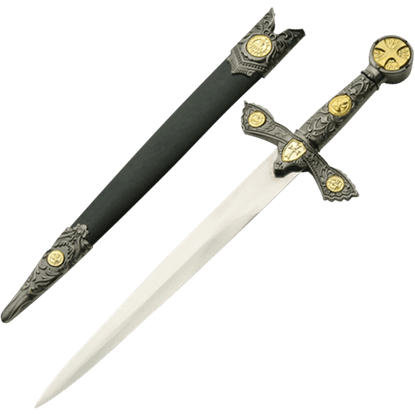 Gladius Medieval style daggers, like this Jerusalem Dagger with Scabbard, have 440C stainless steel blades that are fully tempered, but they are primarily intended for use as collectibles and eye-catching decorative pieces. One of the most well-known knightly orders of the medieval ages, the Knights Templar were among some of the most talented warriors of the Crusades. The Knights of Templar Dagger displays many of their notable icons and motifs.